The Government of National Accord (GNA), the Tripoli-based executive authority, which includes the internally divided but largely Islamist nine-member Presidency Council, the chairman of which is Fayez al-Serraj. It oversees the functions of the head-of-state and is intended to have authority over a yet-to-be formed national military. In the meantime, the GNA is supported by powerful militias from the city of Misrata. The Bayda/Tobruk-based House of Representatives (HoR), the legislative authority controlled by Prime Minister Abdullah al-Thinni. The HoR resists the authority of the Presidency Council and has refused to transfer responsibility for the armed forces to Tripoli, endorsing instead a collection of mainly Cyrenaïcan militias referred to as the Libyan National Army (LNA). This force is led by Khalifa Haftar, who is broadly anti-Islamist but nonetheless includes Saudi-backed Salafist “Madkhali” fighters in his coalition. The High Council of State, a Tripoli-based consultative body led by Abd al-Rahman Swehli, which functions independently of the GNA. The GNA is also challenged by the so-called “Government of National Salvation” (GNS), the Tripoli-based remains of the pre-LPA General National Council (GNC), a parliament formerly led by Misratan Khalifa al-Ghwell. The ex-PM has attempted to overturn the authority of the UN-recognized GNA, but the GNS does not control any institutions of importance. The BDB are the avowed enemy of “Field Marshal” Haftar, regularly described in BDB statements as a “war criminal.” Given Haftar is the commander of a regional militia, his absurd rank (which he was awarded by HoR parliamentarians in 2016) reflects his posturing as a new Libyan strongman who believes he alone is capable of uniting the shattered nation. Haftar is opposed by many Misratans due to his past as a Gaddafi-era general, his long association with the CIA while living as an exile in Alexandria, Virginia, and his battle to subdue Misratan influence in Benghazi and elsewhere. The BDB’s Statement no.19 declared the group had “no party, political or ideological affiliations” (Libya Herald, March 12; al-Jazeera TV via BBC Monitoring, March 12). Despite this, the movement has pledged loyalty to controversial Tripoli-based Libyan Grand Mufti Sadiq al-Ghariani and claims to operate under his authority and that of the Dar al-Ifta, Libya’s fatwa-issuing authority. Despite his status as Libya’s leading cleric and recognition by the GNA and the Presidency Council, al-Ghariani is in practice a divisive influence whose leadership has already been rejected by the HoR. Al-Ghariani is opposed to any political settlement involving Haftar and condemned a recent reconciliation meeting in Cairo between the field marshal and al-Serraj, the Presidency Council chairman. In May 2016, the Mufti surprised many by urging all “revolutionaries” to abandon the fight against Islamic State (IS) forces in Sirte to instead concentrate their forces against the LNA in eastern Libya, claiming IS in Libya would collapse once Haftar was defeated (Al-Tanasuh TV, May 11, 2016, via BBC Monitoring). BDB leader Brigadier General Mustafa al-Sharkasi declared last year that his fighters were “not ashamed to say we use the Dar al-Ifta as our reference … When we are victorious in the city of Benghazi, we will revert to Islamic reference in our dealing with the people …” (al-Nabaa TV/Twitter, via BBC Monitoring, June 21, 2016). LNA spokesman Colonel Ahmad Mismari has repeatedly claimed that the BDB are supplied with weapons and vehicles by Qatar and Turkey (viewed as sympathetic to Islamist forces) in violation of the international arms embargo on Libya (Libya Herald, March 3). The BDB’s allegiance to al-Ghariani and the Dar al-Ifta has created friction with other groups in the capital. A BDB camp in the Suq al-Jama district of Tripoli was attacked on November 30, 2016 by RADA (“Deterrence”) forces led by Abd al-Raouf Kara, a pro-GNA militia strongly opposed to the Grand Mufti (Libya Herald, December 1, 2016). The BDB are also believed to have contacts with GNS leader Khalifa Ghwell (Libya Herald, March 3). The BDB Leadership – al-Sa’adi al-Nawfali, first row, far left; Mustafa al-Sharkasi, first row, third from left. Brigadier General Mustafa al-Sharkasi, a professional soldier, has emerged as the dominant commander in the BDB. Al-Sharkasi served as an Air Force colonel at Benina airbase, 19 kilometers (km) east of Benghazi, under the regime of Muammar Gaddafi. Turning against the regime, he acted as a militia commander in Misrata during the revolution. Once part of Haftar’s LNA, he is now bitterly opposed to him (Libya Herald, November 13, 2016). Ziyad Belam, sometimes cited as the BDB leader, is the former commander of Benghazi’s Omar al-Mukhtar Brigade and leader of the Benghazi Revolutionaries Shurah Council (BRSC), an alliance of Benghazi-based Islamist militias that once included local IS fighters. He was seriously wounded in an assassination attempt in October 2014. 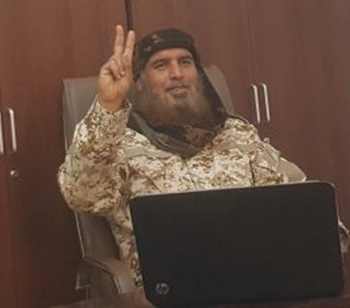 Al-Sa’adi al-Nawfali is the leader of the Operations Room for the Liberation of the Cities of Ajdabiya and Support for the Revolutionaries of Benghazi (known by its Arabic acronym GATMJB). This group cooperates with the BDB, allowing al-Nawfali to hold leadership positions in both organizations. Al-Nawfali appeared in a 2014 video with al-Murabitun commander Mokhtar Belmokhtar (AgenziaNova.com, June 20, 2016). He has been variously described as a former Ansar al-Sharia commander in Ajdabiya and a supporter of Islamic State forces in Nawfaliyah. 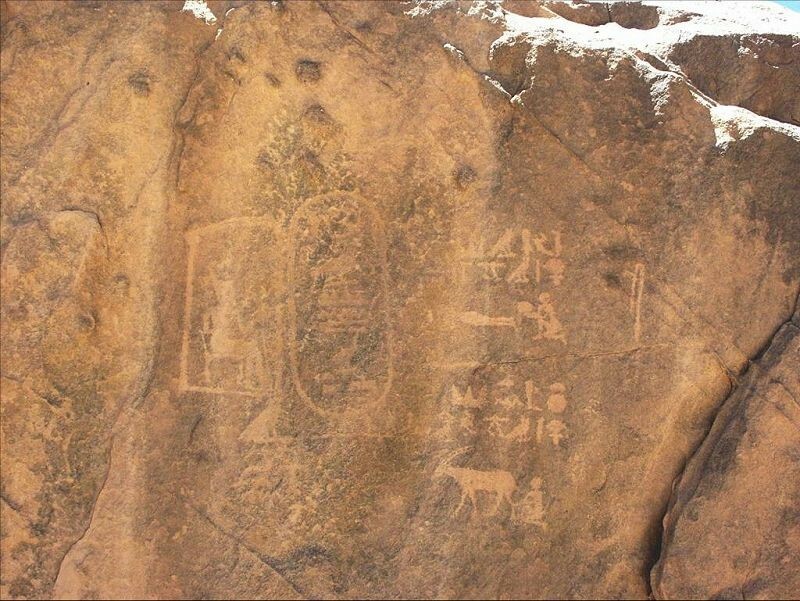 Ismail Muhammad al-Salabi was a commander in the Rafallah Sahati militia and is the brother of prominent Libyan Muslim Brotherhood member Ali Muhammad al-Salabi. Ismail is an associate of GNA Defense Minister Colonel Mahdi al-Barghathi, formerly chief of military police in Benghazi and a former LNA armored unit commander. Osama al-Jadhran is the Ajdabiya-based brother of former Petroleum Facilities Guard (PFG) commander Ibrahim al-Jadhran. An Islamist who was tortured during imprisonment in the Gaddafi era at the notorious Abu Salim prison, Osama took a prominent part in the BDB’s March 2017 capture of Ras Lanuf airport. Ahmad al-Tajuri is an artillery commander from the Tajuri district of Benghazi and former leader of the BRSC. Faraj Shaku is a commander of the February 17 Martyrs’ Brigade and a former BSRC commander. 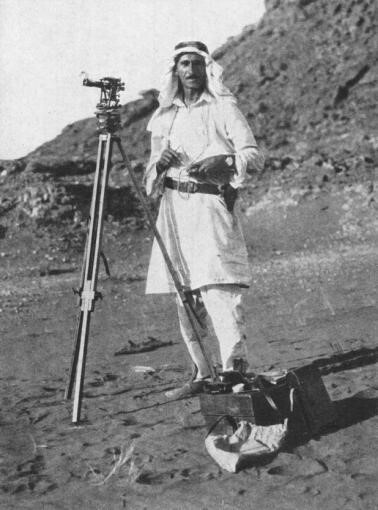 Mahmoud al-Fitouri is a senior commander in the BDB. 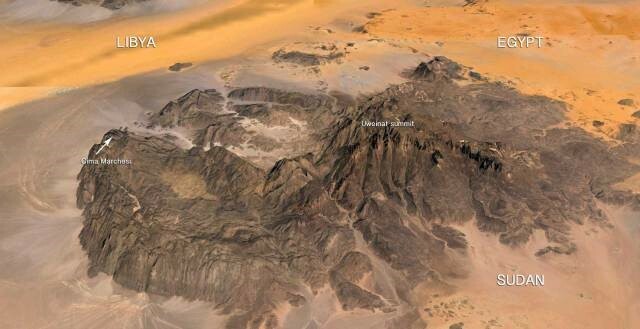 The main force of the BDB is based in Jufra (south-central Libya). Its communications are handled by its official media establishment, Bushra Media. The BDB launched its first offensive on Ajdabiya, 15 km southwest of Benghazi, on June 18, 2016, together with local forces in the city opposed to the LNA. Describing the BDB as part of IS, a Petroleum Facilities Guard (PFG) spokesman said that the PFG was fighting the BDB in Ajdabiya under the guidance of the GNA’s ministry of defense (Libya Herald, June 25, 2016). Shortly after the attack on Ajdabiya, Brigadier al-Sharkasi declared that the BDB was on its way to Benghazi to “liberate it from these criminals, these people that have broken out of prison, these militias, the gangs of Haftar” (al-Nabaa TV/Twitter, via BBC Monitoring, June 21, 2016). On July 11, 2016, the BDB announced the commencement of Operation “Volcano of Wrath,” intended to break the LNA’s siege of Benghazi and allow displaced residents to return (Bushra News/Twitter, via BBC Monitoring, July 17, 2016). The BDB’s offensive ultimately stalled outside of Benghazi, but not before it claimed to have shot down a helicopter containing three members of the French Direction générale de la sécurité extérieure (DGSE, Directorate General for External Security) operating in support of the LNA defenders (Bushra News/Twitter via BBC Monitoring, July 17, 2016; ChannelsTV.com, February 3). 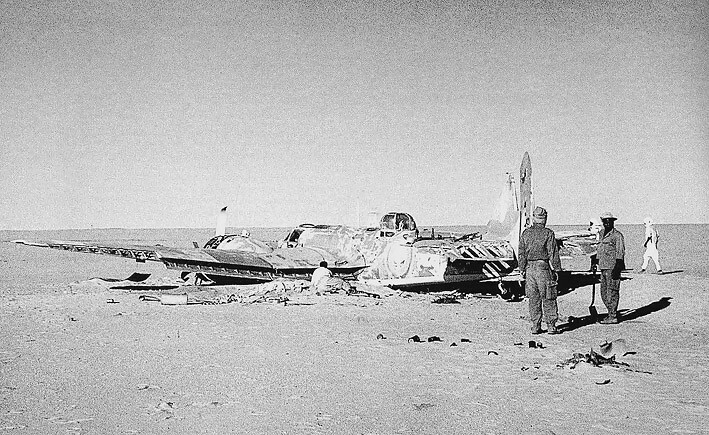 Three days later, the BDB claimed a French “retaliatory” airstrike on BDB positions in western Benghazi had killed 13 of their fighters (Libyan Express, July 20, 2016). Al-Sharkasi later blamed the BDB’s failure to enter Benghazi on the intervention of “foreign” warplanes (al-Jazeera TV via BBC Monitoring, March 12). In December 2016, the BDB joined former members of the BRSC and some members of Ibrahim Jadhran’s PFG in a disastrous attempt to take the important oil terminals at Sidra and Ras Lanuf. The facilities had been wrested from the PFG by the LNA in September 2016. Operating under the unified command of the “Oil Ports and Fields Liberation Room,” an armed group of 600 to 800 men left Jufra in a convoy for the ports in Libya’s vital “oil crescent” west of Benghazi, where they were repulsed by stronger LNA forces (ICG, December 14, 2016). The LNA responded with airstrikes on BDB positions on the Jufra airbase, killing BDB spokesman Mansur al-Faydi, PFG commander Moussa Bouain al-Moghrabi and BDB commander Ahmad al-Shaltami, a former member of Benghazi’s Ansar al-Sharia (Libya Herald, December 12, 2016). Brigadier Idris Musa Bughuetin and Colonel Osama al-Ubaydi, two officers close to Mahdi al-Barghathi, the GNA defense minister, were captured by the LNA (Eyeonisisinlibya.com, December 13, 2016). This led to questions regarding the alleged role of the GNA’s defense ministry in preparing and even ordering the failed offensive. Some verification of these allegations appeared to come through a tweet showing captured vehicles that clearly bore the markings of the ministry’s 12th Brigade (Twitter, December 7, 2016). 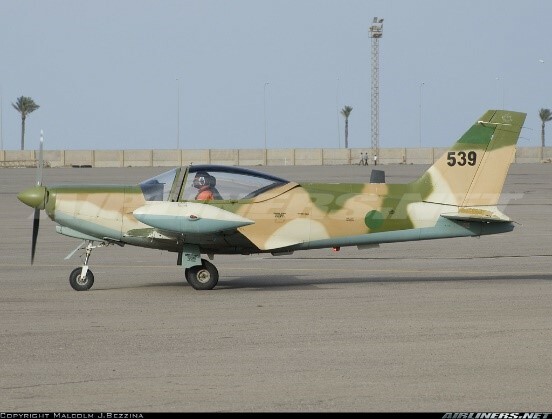 On February 9, 2017, aircraft believed to belong to either the LNA or to the United Arab Emirates (UAE), which backs Haftar, struck BDB positions at the Jufra airbase, killing two people and wounding 13 others (Libya Herald, February 9). The UAE uses al-Khadim airbase in Marj province for operations by AT-802 light attack aircraft and surveillance drones (Jane’s 360, October 28, 2016). 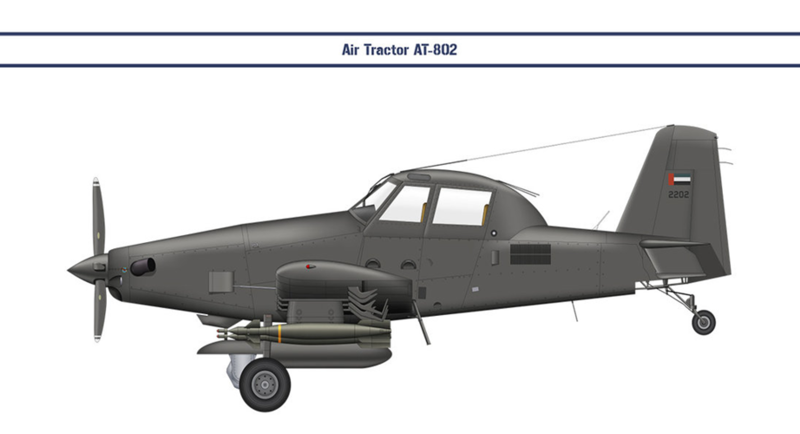 The AT-802’s are reportedly flown by American private contractors working for former Blackwater CEO Erik Prince on behalf of the UAE (Intelligence Online, January 11). 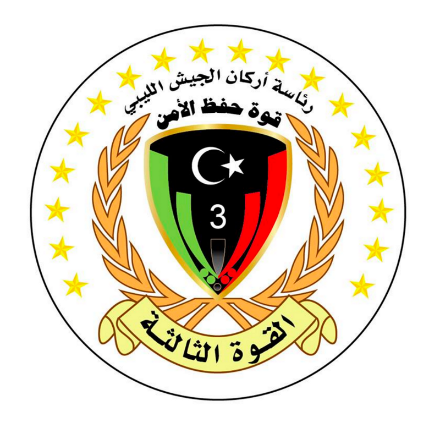 Three days later, a BDB statement called for “a general mobilization by all of Libya’s honorable revolutionaries, officers and soldiers” against Haftar’s LNA and mercenary fighters of Darfur’s Justice and Equality Movement (JEM), who they claimed were fighting alongside the LNA (al-Jazeera TV via BBC Monitoring, February 12). The mobilization led to the BDB’s seizure of the oil terminals at Sidra and Ras Lanuf from the LNA with a surprise attack on March 3. The BDB was able to catch the LNA off guard by moving its forces forward in small groups of two or three vehicles before concentrating its forces just outside the ports (Libya Herald, March 3). An LNA spokesman said the BDB’s success was due in part to its use of sophisticated jamming equipment that interfered with LNA communications (Libya Herald, March 6). There were reports that Defense Minister al-Barghathi had again ordered the defense ministry’s 12th Brigade to support the BDB offensive (Libya Herald, March 7). There were also unconfirmed reports that the BDB had beheaded two NCOs of the LNA’s 131st Infantry Battalion taken prisoner during the attack (Libya Herald, March 12). The offensive was supported by demonstrations in Tripoli and Misrata, while the Grand Mufti used a television address to urge residents of eastern Libya to join the BDB’s march on Benghazi (Libya Observer, March 3). After taking Ras Lanuf Airport, a BDB statement insisted that control of the oil ports was not the aim of the operation, but was only a step in assisting internally displaced persons (IDPs) forced from Benghazi by the LNA (Libya Observer, March 3). The LNA succeeded in holding the line east of the terminals at al-Uqaylah with the help of Tubu reinforcements from southern Libya, leaving some 170 km of Libya’s coastline in the hands of the BDB (Libya Herald, March 6). In the days following, the Brigades repelled successive attempts by the LNA’s 152 Battalion to expel them. Airstrikes, believed to be carried out by Egyptian warplanes, targeted BDB positions in the oil crescent, but the failure of Haftar’s LNA created a small crisis in relations with Cairo, with urgent pleas for greater support against the BDB “terrorists” (Libya Herald, March 13). Haftar advisor Abd al-Basset al-Badri was also dispatched to Moscow to ask for greater Russian support in the fight against the BDB (Libya Herald, March 14). The oil terminals were handed over to Brigadier Idris Bukhamada, an ally of Defense Minister al-Barghathi. 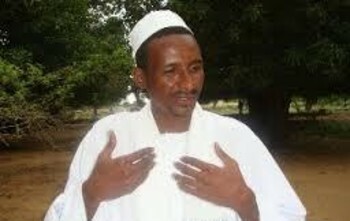 Bukhamada was appointed head of the PFG in February 2017 by the Presidency Council to replace Ibrahim Jadhran, who was seized by a militia in Nalut in March. The LNA was incensed that their own candidate for PFG chief, Brigadier Muftah al-Magarief, was left out in the cold (Libya Herald, March 8). During the orderly BDB withdrawal, the LNA’s Colonel al-Mismari announced, “the terrorist gangs of al-Qaeda [i.e. the BDB] are fleeing Ras Lanuf” (Facebook via BBC Monitoring, March 7). Al-Mismari also accused the Presidency Council of hosting secret meetings with al-Qaeda leaders to fund and support the BDB’s operations in the oil crescent (Libya Observer, March 7; Middle East Observer, March 7). The LNA spokesman’s accusations appear to be part of a larger campaign intended to portray Haftar’s political enemies as radical Islamists with close connections to al-Qaeda and/or IS in order to rally international support for his own militia. A Presidency Council statement condemning the seizure of the oil crescent by the BDB was in turn rejected by two Islamist members of the council — Abd al-Salam Kajman (of the Muslim Brotherhood) and Muhammad al-Amari — who instead offered their support to the “revolutionaries” (Twitter, March 3; Libya Herald, March 6). The BDB, meanwhile, considered its turnover of Sidra and Ras Lanuf should be seen as proof it was part of a broad-based solution to the Libyan conflict exclusive of al-Qaeda or other extremist groups. Unlike the jihadists, the BDB has attempted to interact with the traditional enemies of the extremists, urging Egypt to play a “positive role” and stating its approval of Italy’s stance on Libya. According to BDB commander Mahmoud al-Fitouri: “We are partners to the international community in fighting terrorism; we will never allow terrorist groups to deploy in the region” (Libya Observer, March 9). In December 2016, the LNA’s 12th Brigade took Brak al-Shatti airbase, 900 km south of Tripoli and 60 km north of the city of Sabha in Libya’s southwest. 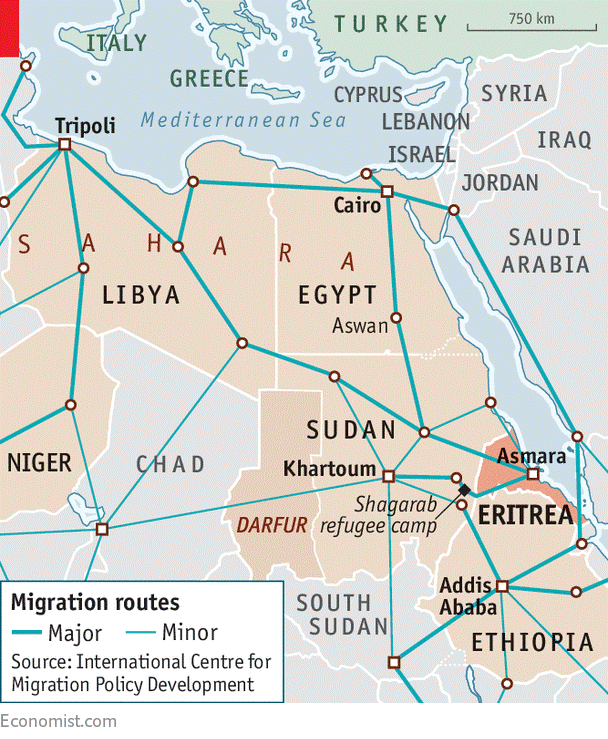 The move came after the pro-GNA Misratan Third Force militia was forced to withdraw, providing the LNA with a useful base for operations in the Fezzan, a region where it had had little influence up to that point. A priority target was the Third Force-held Tamenhint airbase outside of Sabha. Attacks on Tamenhint began in January, when the LNA’s 12th Brigade (largely Magarha, Qaddadfa and Tubu, not to be confused with the GNA’s 12th Brigade) under General Muhammad Ben Nayel arrived at Brak al-Shatti. As many as 141 men were executed — their throats slit, or by a single bullet to the head — after the airbase was captured, including fighters of the LNA’s 10th and 12th Brigades and seven civilian truck drivers delivering rations to the base (Libya Herald, May 18; Libya Herald, May 19). Local hospital officials told Human Rights Watch that nearly all military personnel delivered to the hospital had received a bullet wound to the front of the head. Others arrived still bound and some had injuries consistent with having their heads run over by a vehicle. No LNA wounded arrived at the hospital and there were no casualties from the attackers, suggesting the airbase had been quickly overrun with little resistance. Survivors and videos indicated the LNA prisoners were verbally abused before being killed as “apostates, enemies of God, mercenaries of Haftar and dogs of Haftar” (Human Rights Watch, May 21). General Ben Nayel’s nephew, Ali Ibrahim Ben Nayel, was among those reported killed in the attack (Libya Herald, May 18). After the massacre, the assailants withdrew to their base in Jufra, allowing escaped elements of the 12th Brigade to return along with LNA reinforcements. Even though the Misratan 13th Brigade falls under the ultimate authority of the UN-backed Presidency Council, that body insisted it had no role in the attack (Libya Herald, May 19). The Council suspended Mahdi al-Barghathi as defense minister on May 19 pending an investigation. The Council also suspended the Third Force/13th Brigade commander, Colonel al-Treiki, though the Council has little effective authority over the Misratan militia (Libya Observer, May 20). No measures were taken against the BDB, which operates outside of GNA control. On May 19, the 13th Brigade warned the Presidency Council to “reconsider” its statements rejecting responsibility for “the cleansing of the Brak airbase of Islamic State members,” claiming they had documentary proof they had operated on the direct orders of the defense minister and the Presidency Council (Facebook, via BBC Monitoring, May 19). The reference to IS was unexplainable; there was no possibility the garrison at Brak al-Shatti could have been mistaken for IS terrorists. The LNA’s Colonel al-Mismari claimed the attack was planned and led by Islamist Libyan Shield Southern District commander Ahmad Abd al-Jalil al-Hasnawi (Libya Herald, May 19; Channel TV [Amman], May 22, via BBC Monitoring). Al-Hasnawi, a GNA loyalist, led members of his Hasawna tribe into Tamenhint airbase on April 15 to support the Misratan Third Force (Jihadology.net, April 19). 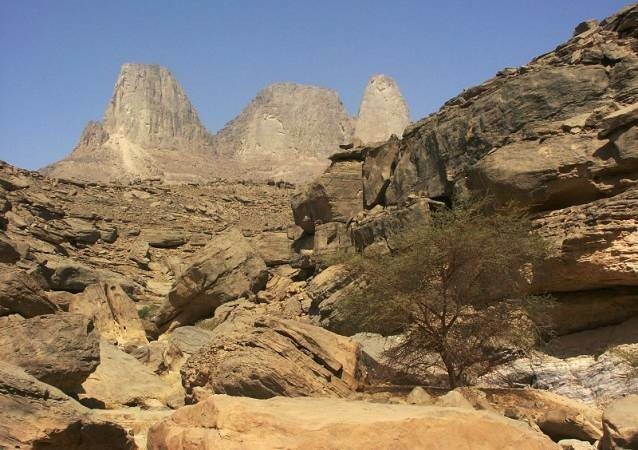 According to the LNA’s 12th Brigade, a number of foreign prisoners were taken following the action, including a Palestinian, a Chadian and two Malians. A unit spokesman said 70 percent of the fighters they had killed or taken prisoner were foreign nationals, adding: “We are convinced we are fighting al-Qaeda” (Libya Herald, May 20). LNA retaliation for the massacre came on May 21 in the form of multiple airstrikes by LNA MiG-23 “Floggers” on BDB facilities at Jufra airbase, civilian targets in the city of Hun (the capital of Jufra district) and bases of Misratan militias that had previously fought IS in Sirte (Libyan Express, May 21; Libya Observer, May 21; Libya Observer, May 23; Libya Observer, May 24). 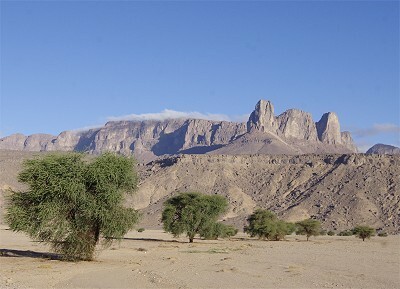 The LNA spokesman claimed the targets in Jufra belonged to al-Qaeda. He also announced the expulsion from Sabha of Humat Libya, a local militia that he claimed, on the basis of interrogations of “foreign fighters,” had participated in the slaughter at Brak al-Shatti (Libya Herald, May 23). Though securing Tamenhint was given as the reason for the assault on Brak al-Shatti, the LNA announced on May 25 that the Misratan militia had withdrawn from the airbase, leaving it to be taken by the LNA’s 12th Brigade with support from the 116th Brigade (Libya Herald, May 25). IS-style atrocities are hard to reconcile with the BDB’s occasional efforts to engage responsibly with internal and international partners in Libya’s ongoing political process. The BDB is more of a military coalition than a cohesive political movement under a single command and is thus subject to internal differences and dissolution or expansion at any time, particularly in Libya’s current over-heated political climate in which personal differences can lead to command ruptures overnight. The complex mix of leaders and fighters comprising the BDB almost ensures the improbability of defining a specific ideology guiding the coalition, other than a shared hatred of Haftar’s authoritarianism and a determination that the field marshal will never play a role in Libya’s political or military future. Acting outside the control of any of Libya’s rival political institutions, the BDB has become a dangerous and unpredictable wild-card in the political process. The brutal attack on Brak al-Shatti effectively derailed some of the most promising steps taken towards political reconciliation in Libya. 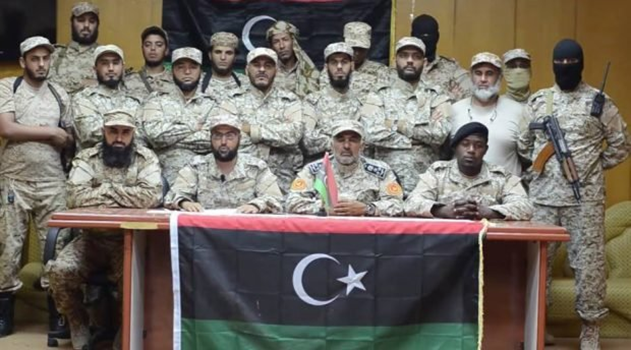 Rather than being reined in by more responsible armed elements supporting the GNA, the BDB appears to have entered a military alliance with the powerful Misratan Third Force/13th Brigade with the unauthorized support and approval of elements in the GNA’s defense ministry. The BDB has strayed far from its initial mission of “liberating” Benghazi from Haftar’s control, and the LNA’s penetration of the Fezzan has provided the BDB with new battlefields, possibly as a proxy for external anti-Haftar actors such as Turkey and Qatar. Until the BDB is either eliminated or brought under effective control by one of the recognized political factions in Libya, it will retain the capacity to disrupt diplomatic efforts to arrive at a much-needed political solution to Libya’s internal chaos. The terms “brigade” and “battalion” are often used interchangeably when referring to Libyan militias, which rarely if ever equal the approximately 4,000 men in three battalions that form a typical US army brigade. The actual size of any unit may fluctuate on a continual basis according to military and political fortunes. Thuwar, or “revolutionaries,” as used by the BDB and their allies, usually refers to Islamist militias opposed to Khalifa Haftar and the LNA. Radical Islamist jihadists rejecting the political process in its entirety tend to refer to themselves and their allies as “mujahideen.” The distinction is important in defining how the BDB see themselves in the context of the Libyan conflict. This article was originally published in the June 2, 2017 issue of the Jamestown Foundation’s Terrorism Monitor.